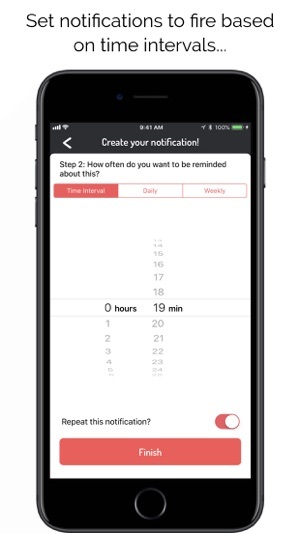 uNotifs provides you with an incredibly easy and convenient way to schedule notifications for practically anything. 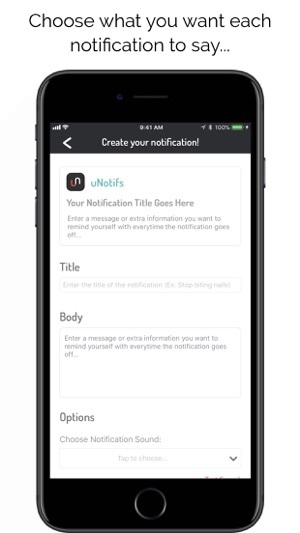 With uNotifs, you have the ability to specify exactly what you want your custom notification to say and how often you want it to fire. 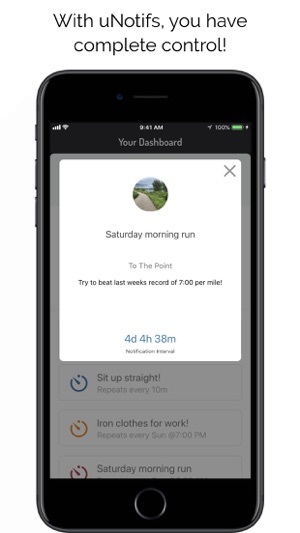 Whether you use uNotifs to break bad habits, create good habits, or remind yourself of something important, you can be sure that you'll be getting the customization and robust features necessary to mold your notifications to exactly what you need. 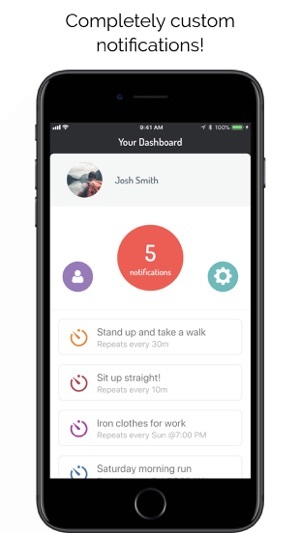 * The ability to schedule notifications with custom titles, bodies, images and sounds. 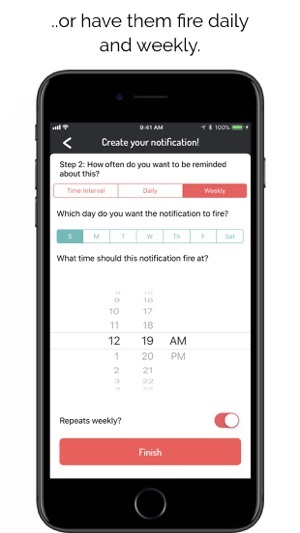 * An beautiful dashboard displaying all of your upcoming notifications. 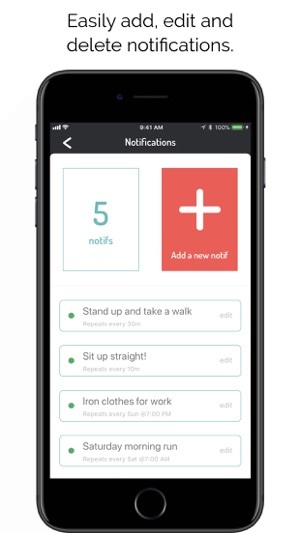 * The ability to modify and delete pre-existing notifications. 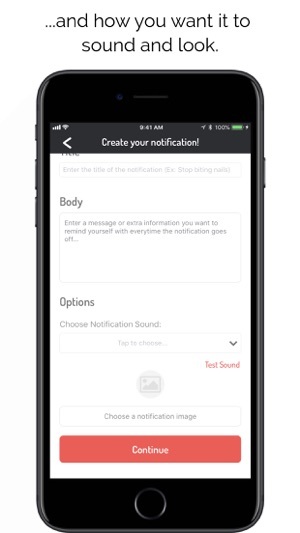 * Added the ability to edit both the sound and image of ALL types of notifications without the need to delete them. * Re-designed the notification 'Quick Look' feature. Tap on a notification on your dashboard to view its title, body, sound, and image. * Fixed an issue for some users where weekly notifications would repeat despite being set not to. * Fixed an issue where images and sounds would not show up with certain notifications. * Fixed an issue where the introduction would not be properly positioned on screen for some users. * Fixed an issue where text would be cut off on the uNotifs widget. Thank you for using uNotifs! If you have any feedback, questions, or ideas for future updates feel free to let me know!